Con un tasto è possibile scegliere il canale, tra clean o overdrive. È anche possibile collegare un pedale (non in dotazione) per scegliere il canale. Questa caratteristica risulterà utile sia ai principianti che ai professionisti! 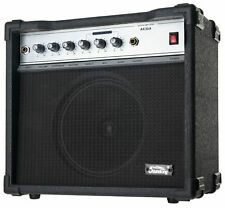 Amplificatore per Chitarra Combo -Classic Cantabile SG-200R. Questo amplificatore è ideale per esercitarsi! Dispone di un Clean-Channel per i toni più tranquilli ed un Drive-Channel per i famigerati suoni distorti. La condizione Usato. biconico Coni Randall uscite per cabinet esterni uscita cuffia Suono clean pulito e potente 30W 30W Stereo. Nonostante si tratti di ampli a Mosfet il suono è pulito anche con chtarre single coil perfetto per blues-rock. 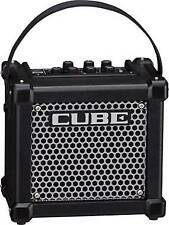 Caratteristiche EKO I-5G Ampli 5 Watt Black. Produttore :Eko. Piccolo ma potente amplificatore portatile per chitarra elettrica, consigliato da studio o per un utilizzo casalingo, compatibile con tutte le chitarre elettriche e elettroacustiche. The Fender Mustang GT 40 is a guitar amplifier combo. New for 2017 it replaces the Mustang II (V2.0). Equipped with WiFi it takes digital amp technology to the next level. How can a modern legend like the Fender Mustang digital amplifiers be improved?. A REAL QUALITY AND VERY LOUD AMP. IF YOU ARE UNABLE TO COLLECT WILL SEND BY PARCEL FORCE. HAS NEVER BEEN GIGGED AND IS IN VERY GOOD CONDITION. 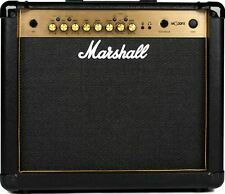 The Marshall MG30GFX is a 30 watt guitar amp with 4 programmable channels and digital effects. THE MARSHALL MG30GFX IS FULLY PROGRAMMABLE USING THE OPTIONAL STOMPWARE FOOTSWITCH. 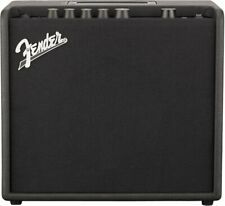 Rated at 15 watts but this amp can get seriously loud, it has a 1/2 power switch on the back panel along with different speaker outputs and the footswitch input. Marshall DSL15C guitar amplifier. Made in Vietnam. Collection is also available if preferred from Thurmaston Leicester. Boxed T3. Owned since November and used only once. Mint item. Sounding great. As well as the classic sound, the Pathfinder 10 captures the legendary look of Vox with the leather-look vinyl and diamond grille cloth. 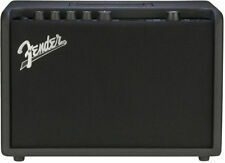 The Pathfinder 10 features a powerful 10-watt output that is perfect for practice and recording. The Fender Mustang GT 100 is a guitar amplifier combo. New for 2017 it replaces the Mustang III (V2.0). Equipped with WiFi it takes digital amp technology to the next level. 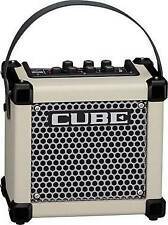 This 100 watt version is the perfect all-rounder. It has been PAT tested (09.03.19). Please review the full item description of item "Laney LX10 10 Watt Guitar Combo Amp" for all information regarding delivery and technical specifications. The Marshall CODE100 could be your one amp to rule them all. Using Softube MST technology, Marshall have created classic and modern valve tones along with a comprehensive range of effects. Bluetooth is another handy feature. 40-watt spring reverb acoustic amplifier. - Weight: 11.5 kg (25.4 lb). - Power consumption: 90 watts maximum. - Feature: Versatile spring reverb. - Output: Headphones (6.35 mm (1/4") standard jack). 2 channels, a specially designed 10" speaker, and 30W of raw power make the Epiphone Firefly a great little jam amp. 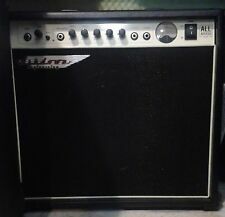 Kinsman 100w Guitar Amp. Mint condition & fully working. Only ever been in bedroom & well-loved. In-built effects. Collection from Boldon or Washington whichever you prefer or free local delivery. NO POSTAL DELIVERY AVAILABLE. Marshall CODE 25 Guitar Combo Amp Main Features. CODE 25's 24 FX include Compressor, classic stompbox distortions, Pitch Shifter, different types of Chorus, Flanger, Phaser, Auto Wah, Tremolo, as well as versatile Delays and Reverbs. The Blackstar ID: Core Stereo 40 V2 has everything you need in a practice amplifier. It includes a versatile range of amp voices. These include two clean, two crunch and two overdrive. The 2016 version has actually been rejoiced around the High Power 100 and 150 models. Orange Crush 35RT Guitar Amp Combo, Orange Main Features. For players who love their pedals, the Crush 35RT's fully buffered, low impedance loop allows for any number of effects and cables to be patched between the amp's input and output sections without sacrificing tone. This Blackstar HT-1R 1w 1x8" is in mint condition and in perfect working order. Blackstar says. The HT-1R has two channels available for selection, a Clean channel and an Overdrive channel. I’m throwing in a premium guitar cable from Andertons. Blackstar ID:Core 100 Stereo Guitar Combo Amp Main Features. 6 Classic Blackstar Voices. With deep editing functionality through the Blackstar INSIDER software and the option to create, upload and download other user's patches through the community section the user has access to a truly limitless scape of tonal possibility. The Marshall MG102GFX is a 100W Combo guitar amp, fully loaded with reverb & onboard digital effects. Guitar Amplifiers. Guitar Accessories. Guitar Cables. Guitar Care. Guitar Picks. Guitar and Bass FX. I've given up on playing the guitar and this amp is hardly used. NICE SMALL PEAVEY ELECTRIC GUITAR PRACTICE AMP. PERFECT SIZE FOR PRACTICE OR BEGINNER. NICE TRADE OFF BETWEEN GOOD QUALITY SOUND AND SMALL AMP. A FEW RUBS / MARKS / SIGNS OF WEAR BUT NOTHING MAJOR.